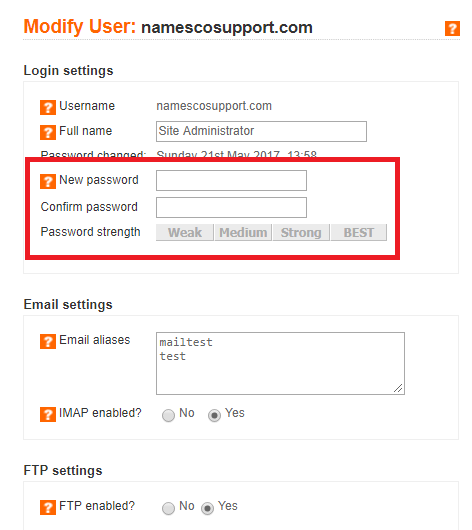 This article will explain how you can update your FTP password for Apache hosting. If you are unsure of what your FTP password is, please see the instructions below. 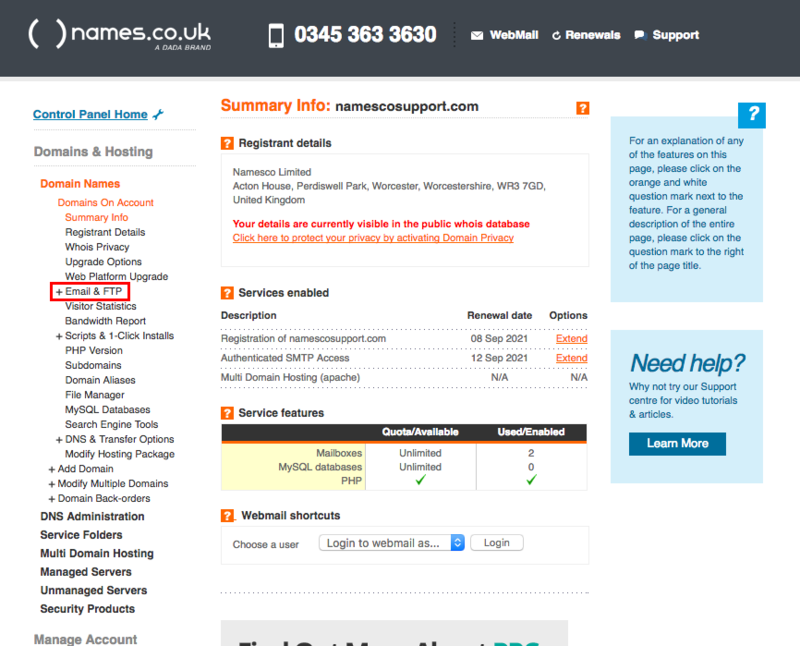 Once you have logged into your Control Panel, click on the option for Manage Hosting next to your domain name. 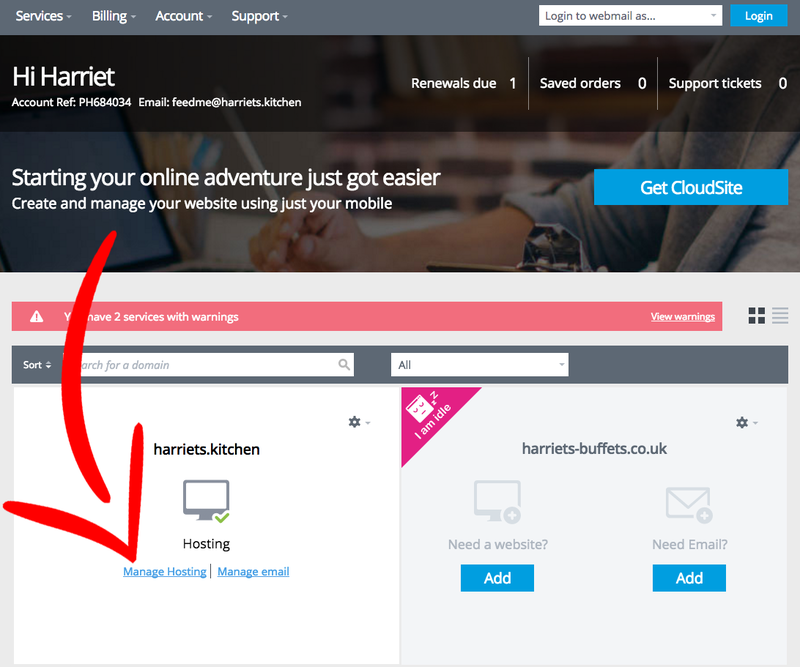 On the next page click on Email & FTP on the left hand side. Next, click on your Site Admin user. 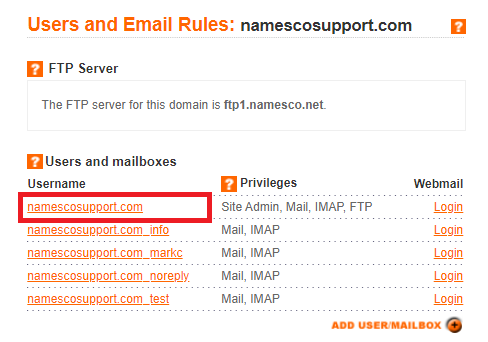 From here you can update your password for the Site Admin FTP user. Our Apache platform requires you to allow FTP access to only specific IP addresses, or all IP addresses but for only a limited amount of time. 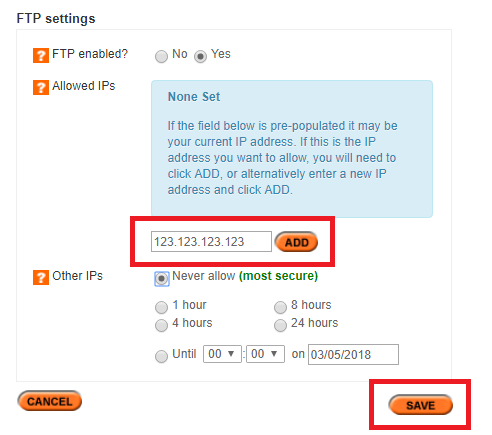 Your IP address will automatically be populated into the box under FTP Settings as shown below, so you can simply click the Add button to apply your IP to the allowed list, and then Save to apply these settings.